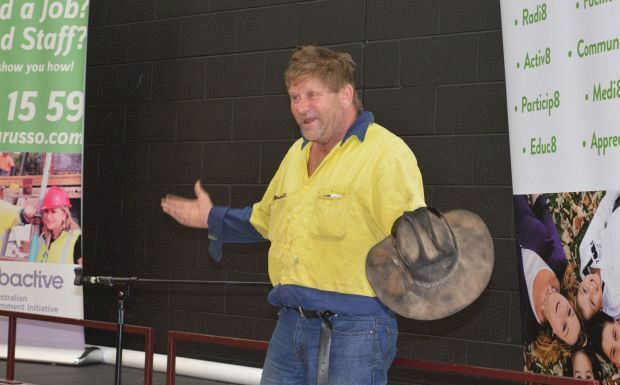 “Never do anything that you wouldn’t do in front of your parents” he told the audience members gathered at Nurunderi TAFE. 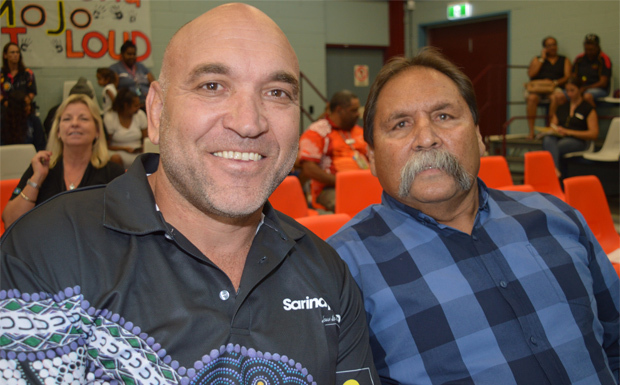 Gordon admitted he had struggled at school – and his brother Wally was a better rugby league player than he was – but the difference was Gordon “wasn’t afraid of blisters”. He puts his success down to a work ethic that began with mowing lawns, carrying pavers on a building site, and then painting David Jones in Townsville at the age of 16. “The first wall was really bad, but by the time I finished, it was a really nice paint job because I learnt on the go,” he said. 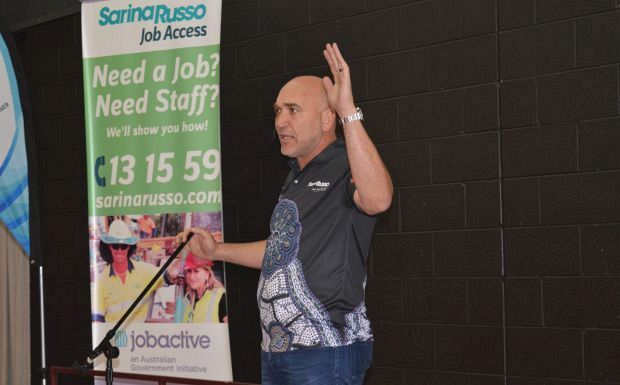 Gordon shared his story of growing up as an Indigenous kid in Townsville as part of an effort by employment agency Sarina Russo to raise awareness about job opportunities open to Cherbourg residents. But some of these opportunities might require people to leave the community – away from family, friends and country. “Don’t be afraid to go in and try something that’s new,” Gordon said. This is exactly what Gordon had to do … leave Townsville and go to Sydney when an opportunity arose for him to try out with St George. His parents had to save up the $600 to send him down …”they gave me the opportunity to go”. “They were brave enough to give their kids the opportunity to go away,” he said. Gordon urged the audience to believe in their kids. 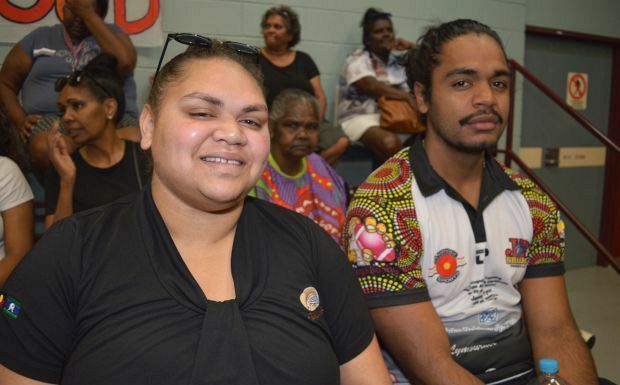 He said the Townsville community and its elders had given children the opportunity “to stand on their shoulders”. 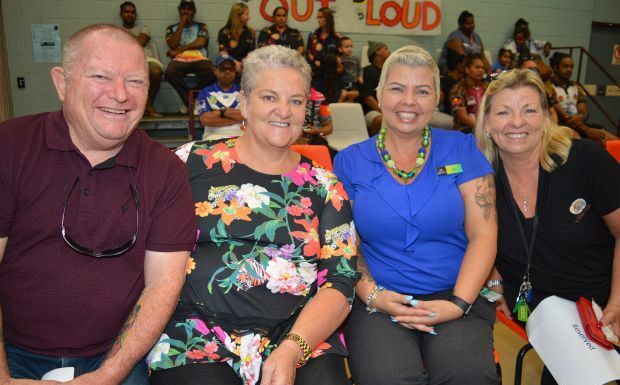 “The greatest thing you’ve got as a community is making sure the kids that are coming through are given the opportunity that maybe you never got,” Gordon said. “Let’s give them the chance to grow. “(My parents) gave us the opportunity to go down and follow our dream. “I know there’s challenges. I know there’s drugs, I know there’s alcohol but that follows you everywhere. “You have a massive chance to make a change and the change starts now. “I’m never going to change the world by talking to you.